Savory pre-baked and pre-coated tart shells. Perfect for quiche, tartare, and more! Ready to use. INGREDIENTS: Wheat flour, eggs, butter, soya oil, sugar, starch, salt, mix of rye flour, black pepper. CONTAINS: Gluten, Eggs, Milk, and Soy. 78448 - Tart shell - round, Chocolate - 1.5" (240ct) - Pre-baked and pre-coated tart shells for pastry applications. 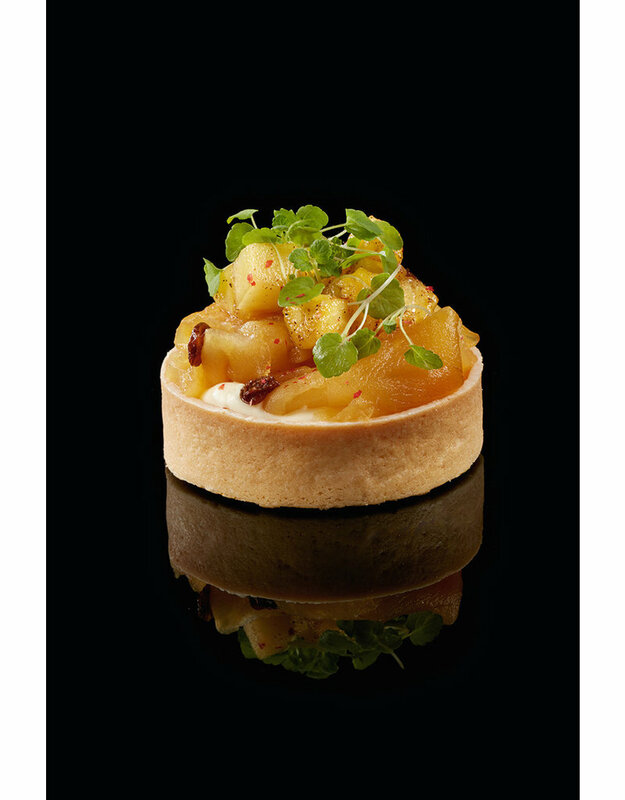 78441-S Pre-baked and pre-coated tart shells for pastry applications. To be filled with mousse, ganache, pastry cream, frangipane, and fruits in syrup. 78443-S Pre-baked and pre-coated tart shells for pastry applications. To be filled with mousse, ganache, pastry cream, frangipane, and fruits in syrup. 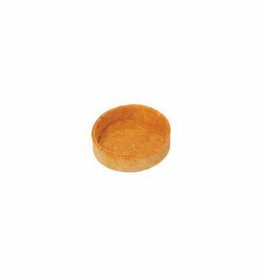 79024-S Pre-baked and pre-coated tart shells for pastry applications. To be filled with mousse, ganache, pastry cream, frangipane, and fruits in syrup. 78442-S Pre-baked and pre-coated tart shells for pastry applications. To be filled with mousse, ganache, pastry cream, frangipane, and fruits in syrup. 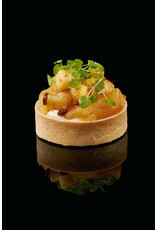 78450-S Pre-baked and pre-coated tart shells for pastry applications. To be filled with mousse, ganache, pastry cream, frangipane, and fruits in syrup. 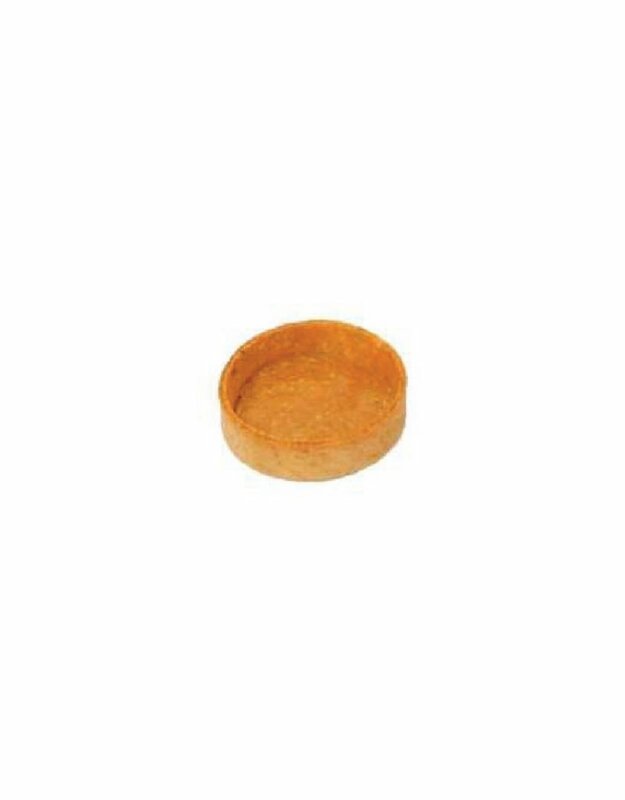 79039-S Pre-baked and pre-coated tart shells for pastry applications. To be filled with mousse, ganache, pastry cream, frangipane, and fruits in syrup. 78449-S Pre-baked and pre-coated tart shells for pastry applications. To be filled with mousse, ganache, pastry cream, frangipane, and fruits in syrup. 78448-S Pre-baked and pre-coated tart shells for pastry applications. To be filled with mousse, ganache, pastry cream, frangipane, and fruits in syrup. 78453 Pre-baked and pre-coated tart shells for pastry applications.